We are a web design Company serving Portland that builds mobile friendly WordPress websites. 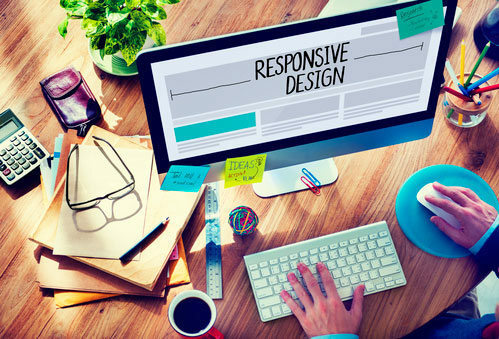 Creating a newly designed website is an investment in the future of your business. With the growing number of digital devices used to access the web today, it’s imperative your site can be viewed easily on all these mobile devices. We’ve been helping businesses with website building projects since 2002. Don’t hesitate to contact us with questions or for a quotation. Selecting the right professional for your web design project can be frustrating and stressful. It’s hard when you’re not familiar with the talent and expertise that freelancers and agencies can provide. But hopefully after you look around our website and read a few of our posts you’ll soon be more knowledgeable of and trusting in our abilities to handle your next website build. We make it a point to always remain up-to-date with the latest online tends, changes and new technologies. We’re WordPress developers serving Portland Oregon. View our Portfolio for a few examples of our work. For sure, there are a lot of talented web development professionals around that can do a good job. 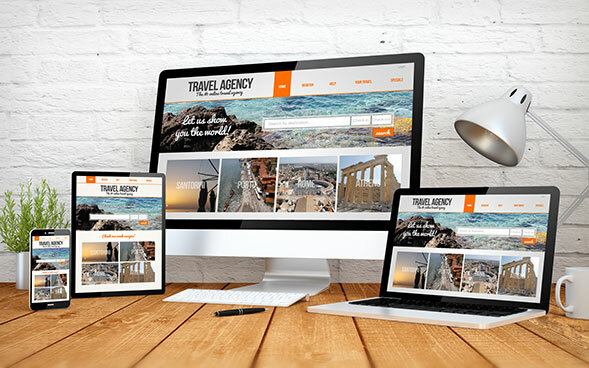 However, our web design Portland Oregon services will create you a website you’ll enjoy, that is highly functional, professional, and designed with your users in mind. Additionally, we have many years of search engine optimization experience and this means that we’ll optimize your site right from the very beginning. It is critical to have your content, URLs, and keywords done correctly from the start. This way, when it is time to promote your new website, you won’t have to fix these things; they will be done correctly already. Furthermore, we’ll always be completely clear about what needs to be done and why, and what kind of results to expect from those efforts. You’re going to need to do proper research before starting your web design project. Take some time to look around at other sites and your competition to see what they are doing. Try to find out what they are doing well and what they are doing wrong. This way you have a better understanding of where you fit in. Next, check out a few other sites that you like and make some notes about them. Once you have done that, you will be ready to talk with your website creator about your new project. We will not duplicate what is already out there, of course, but there is no need for you reinvent the wheel either. Once we know what you like and dislike, we’ll better be able to come up with the things that are right for you on your own website. It is about me getting to know you, in other words. The web design process starts with what we call “the discovery stage”. We’ll have some conversations with you about your goals and requirements such as, who are your website users? We’ll talk about the research you’ve done, and ask for websites you’ve looked at so we can get an idea of what you like or dislike about them. This process will help me determine what is best for the design of your website. Next, we’ll look at what you’re doing now for an internet presence, and then research what your competitors and other businesses like yourself are doing a good job at, and not so good. Then, come up with a proposal custom tailored to your specific needs. After discussions and once we have come to an agreement on the structure of the site, our web designer would build out some pages for you to see how your new website will look. At this point, you’lll be able to make any changes to the design or layout if needed. Things needed from you to start and complete a Portland web design project. Colors and fonts if you have specific needs or requirements. All written content for descriptions, articles, pages, products and such. If you already have a hosted or registered domain, we’ll need login access. If you’re missing, or do not have some of these items from above don’t worry, just let us know as soon as possible. These items on the list can be created and provided at additional cost. The most current version of WordPress. Custom design to your specifications. Structured and organized with your clients/customers usability in mind. All pages structured and organized for search engine indexing. A fluid and responsive design to work with desktop and mobile devices. Coded using the latest in HTML5 and CSS3 specifications. Browser tested and W3C compliant. Optional offline backups and hosting. Optional On-page and Off-page search engine optimization. For eCommerce, We specialize in WooCommerce shopping cart websites. SEO is the important part of a successful business plan. Our services will get your business found and in front of thousands of new prospects. It all starts with a quality built and properly structured website. Learn more here. We specialize in mobile friendly websites. With the growing number of digital devices used to access the web today, it’s imperative your site can be viewed easily on all these mobile devices. We specialize in the WordPress development, particularly when building new websites. Some of the world’s biggest names ( BBC America and The Walt Disney Company for example) use WordPress, in fact with WordPress, the sky is the limit in terms of what can be created. Plus WordPress is the most popular platform used, with an huge following and developers creating new functionality and add-ons everyday, so you’ll never have problems with updates and finding a company to help you. Our goal is to work together with you to make something that stands out from the crowd, that suits your particular needs, and that is attractive to your customers. We achieve this by working closely together with you, keeping you up to date with developments and how your website is progressing. Our Portland web design Company is known for its honest, open, and transparent work, which means our customers always know where they stand, what is being achieved, and how the website is growing in popularity. Over the years, we’ve built a solid customer database, working together with businesses that have started from scratch, and with those companies that wanted to improve on what they already had. We encourage you to contact us as soon as possible to see what we can do for you. Starter websites usually run around $500-$800, and go up from there. It all depends on your needs.We calculate cost based on hours involved in the development of your website. Functionality, plugins, content, pages, the design and optimization must be considered when we provide an estimate for your project. Unfortunately, one price doesn’t fit all, that is why we don’t list prices. Everyone has different needs or requirements for a website, and we work hard to make them possible. So don’t hesitate and contact us today with any questions or for a quotation.